Lake Tennyson seen from above, with a fisher's or boatie's camping tent site on shoreline. Crimea Range and Crystal Peak (2020m) beyond. 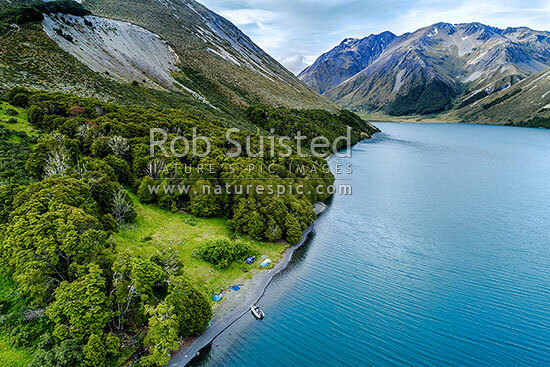 Aerial view, Molesworth Station, Hurunui District, Canterbury Region, New Zealand (NZ), stock photo.